A few clicks back I coined the made up term “linktribution” to represent the recommended way of thanking someone for use of their open licensed content by linking back to the original. It is the least one can do, eh? Sadly it does not happen nearly enough, note this article on Psychology Today — not only does it have an image (probably not licensed from the movie Stand By Me as this TinEye search reveals for the image), it just sits there w/o out any kind of attribution at all. But I go off track. Doing a link back, again, is the base minimum that one ought to to, but there is no reason not to go a step farther. I cannot seem to locate it in my blog (uh oh), but I remember writing once about the phenomena of people emailing asking for permission to use say, a flickr photo. I used to think I needed to educate them, that creative commons meant they did not need to ask permission… but reflecting on that, I like that they contact me, as I might have never known of the use of a photo. So going beyond linking your attribution, is actually letting someone know they used your stuff. I admit I do not do nearly enough of this, especially as I use in almost every blog post a flickr creative commons photo. This act by itself is small, but to me, adds to the potential for increased positive serendipity of discovery. And it just happened to me today. I see some of these trickle in every now and then- someone letting me know they’ve used a photo of mine on a web page or blog post. Sometimes I check sometimes I don’t, but I was curious about the link in the comment to the Photographic Dictionary– what a cool idea! 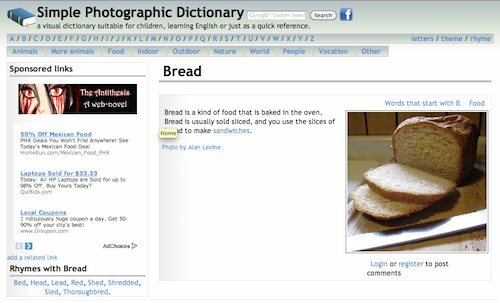 The Simple Online Photographic dictionary is a personal pet project originally started as an illustrated dictionary on Giraffian. It was designed as a quick reference, born out of a frustration for finding what you want on Wikipedia without having to wade through very verbose pages, but with the alternative goal of being more informative than a plain text dictionary. Text on this site is licensed under a Creative Commons Attribution Non-Commercial Share Alike 3.0 Unported License. Almost all of the images on this site were sourced from flickr and were licensed under the Creative Commons-licensed content for commercial use, adaptation, modification or building upon at the time of sourcing. The balance of the images were either used with permission or were otherwise licensed to be used for derivative works at the time of sourcing. All names are given for concepts or nouns that are known by a different name in different parts of the world. And simply as a website to browse to look at the pictures! Notice too that they also have a wish list for entries needing photos. Now step back, and let me repeat. Under creative commons, RumpledElf could have used my photo without mentioning it to me… but because they did, I discovered something new, and now can share it. Linktribution is the baseline, now let’s do more thanktribution… and I will start by next adding thanks to the photo I used at the top of this post. 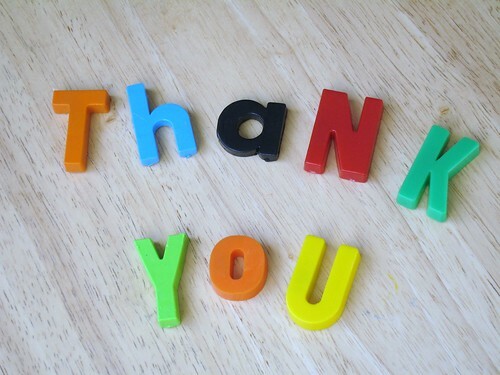 Pay it forward, spread some link and thanks love around. This rocks reasonably hard. I’ll be point students here in future as part of discussion of the ethics of attribution and the benefits of linkage. Also, for the record, delivered to my email account correctly by feedburner, so that seems to be working fine. I have since I started in flickr, told people if they are complying with the license that don’t need to tell me, but if they want to tell I always love to hear how people are using my photos. I’ve been tentatively stepping towards a less restrictive license so making that suggestion a little more prominent would help me know what people do with things I made.